WHICH CITIES DOES WTU SERVE? 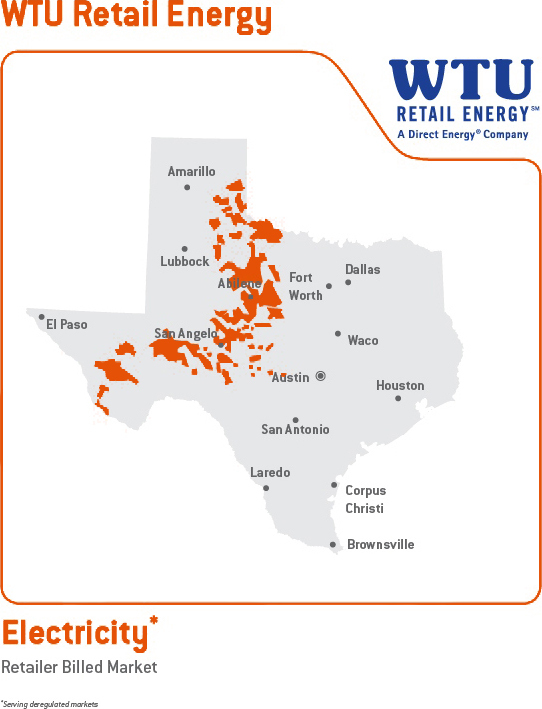 If you would like to find out more about the other utilities in Texas please visit the Public Utility Commission website at http://www.puc.state.tx.us. Not in unserviceable? Please Enter Your Location We would like to provide you with the most accurate information on on our offers, including available plans and pricing. Please enter at least your zip code, but you may also enter your complete address for more detailed information. © 2019 WTU Retail Energy L.P. All Rights Reserved. PUCT Certificate No. 10022. SMWTU Retail Energy L.P.